Blogs are one of the best resources out there for learning new things— they can help you with all sorts, from that vegan carrot cake recipe you’ve always wanted, all the way to fixing your mountain bike. Whilst we gain value from all of these blogs, we also get to know the characters behind the words and their opinions on the world. As we all know, the world of mental health covers a broad spectrum, from suffering from the disorder to the actionable treatment itself there will be a blog to help go along with that. In this article, we explore the world of blogs that cover counseling, mindfulness, and therapy to give you all of the right ammunition to go deeper in the treatment of your mental health disorder. The insights from these blogs range from credible scientific research to snippets of real-life stories and experiences with mental health. We’re Only Human – Run by the Association of Physiological Science (APS), this regularly updated blog brings together a nice balance between science and philosophy discussing topics that are troubling modern-day mental health. Brain Blogger – As suggested by the name, Brain Blogger dives into more brain-associated learnings about the world of mental health. From a range of topics to the scientific chemical activity of the brain to the way your brain approaches focus and mindset towards a disorder. Shrink Wrap – An effective resource for therapists to dive into important topics in the mental health space. Shrink Wrap is run by Psychiatrists for other psychiatrists. Exploring problems, stigmas, existing prejudice of mental health. MentalHelp.net – Leading PhDs have crafted a resource for all therapists to dig deep into the topics. Structured like a forum, diving into 100s of pieces is easy with the opportunity to learn from a wide range of opinions, research, and sources. Online Therapy Institute – Ideal for therapists, these blog articles explore the nature of the therapeutical approach itself, specifically online coaching. As the world becomes time-restricted delivering online based sessions have become even more popular, this blog explores the nature of the newly-introduced. The Counseling Geek – A lighter side of counseling is curated in this bi-monthly blog. A range of listicles, interviews and opinion pieces make up the Counseling Geek. For school counselors, this blog pieces provides a host of strong advice. School Counselor Blog – On the topic of schools. This blog discusses the student-based approaches of counseling, exploring the trending topics of this space and providing insights into how they can be tackled in schools. Psychology Today – With over 750 leaders sharing their tips and advice, this might just be the top resource for those looking to learn about mental health and counseling. A range of topics covered! Laura’s Psychology Blog – Covering a regularly updated blog, Laura Freberg blogs about the world of psychology in lots of different topics. Research Digest – Delivered by the BPS, British Psychological Society, this is a popular blog with therapists in the UK. But don’t fret, if you are US-based or work with clients across the world, this blog covers global topics and conversations. With the counseling blogs, expect more detailed insights into the world of mental health. Normally crafted for professionals to further their insights into disorders, for those who enjoy going deeper into topics and backing that up with research, these will be great for you! Designed to go deeper into the topic of therapy, these blog pieces will begin to uncover the strategies, tactics and always-moving approaches to using therapy in sessions. Together with a strong backing of research and guiding you on how to implement therapy into your life, these therapy blogs provide a nice layer of insight to add to your existing knowledge. 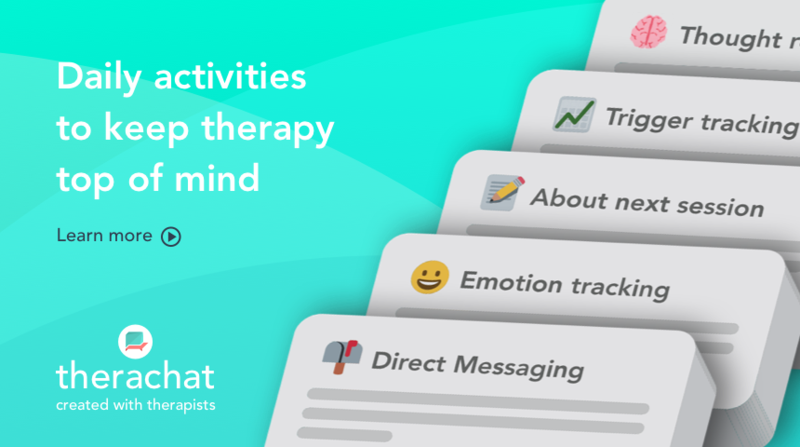 Everyone Needs Therapy – Covering a range of therapy-based topics, this blog explores trending topics like the Charlottesville activists and the fidget spinner revolution and how they impact on the world of therapy. Got to be TO – Delving into the world of occupational therapy, this blog documents the experience into the profession of this form of therapy. From real-life situations to opinion pieces, this will be a great blog if you’re exploring this as a profession. Lessons from the Field – Another profession-based therapy learnings from occupational therapy. For those who are exploring occupational therapy as their chosen career path, there are many learnings nested here. The People’s Therapist – Documents the life and musings of someone in the profession of therapy. Short, sharp lessons from the field and also from the perspective of a therapist. Psychology on Reddit – Although strictly not a blog, the Psychology community on Reddit is active and brings together great musings, articles, and courses that can deepen your insights into cognitive therapy. CBT Techniques – This well-crafted blog brings together treatments and a host of blog articles covering the world of cognitive therapy. There are a lot of challenging pieces on the site to get stuck into. BECK – Leading cognitive therapy institute, BECK, write a bi-monthly piece about the world of therapy and how it can affect the everyday life. Pieces are lighter than some of the more scientifically backed institutes. Bipolar Burble – Natasha Tracy, leading expert of ECT therapy, brings together her life suffering from bipolar as well as all the research in the form of blog articles on the topic of EDT. Therapy Simple – A practical approach to starting as an online therapist, Therapy Simple blogs all about the world of starting as a therapist and how to succeed with your clients in and outside of sessions. I’ve Got Your Back – Popular blog by Anita Sanz delivers posts on her website and also on Quora to help add even more value to the conversation. Anita has a strong following on Quora and regularly communicates with her community. Therapy Tribe – As well as being one of the leading directories for therapists around the world, connecting them with clients, Therapy Tribe runs a blog brought together by the members, posts, and musings from the community help others to build their insights of therapy up and help support their issues. Ashley Turner Blog – Ashley Turner, rising star of the mind and body space, brings together both yoga and therapy to help conquer and document the effects of how they can be used together to treat all types of mental disorders. Better Therapy – Discussing human struggles and how to tactically approach them. Designed more for the sufferer, this blog brings together actionable advice to get started with conquering disorders. Good Therapy – Ranking well as one of the best sites of therapy-related support, Good Therapy brings more practical tips to the table by combining expert advice with easy to read short articles, ideal of on the go! The Good Therapists – Popular name right? Alison Crosthwait in this blog pulls together advice from her experiences tackling and supporting those with mental health disorders, in a more personal blog for readers. Again, selecting a few of these resources to get started with will be enough, you’ll slowly craft a list of regularly visited sites where you’ll be able to gather new learnings to apply to your own sessions with clients. Mindfulness has been a popular phrase used in the therapy space for a long time. Over the last 5 years the need for clients to take a mindful approach to their mental health has been a hot topic, especially during sessions. Taking a look into mindfulness with clients is becoming more and more popular as a way to actively get them involved in homework compliance and the act of treatment. There’s a subtleness around the step-by-step processes of mindfulness which makes it easier for the client to consume and act on. A Blissful Mind – Catherine from the Blissful Mind kindles how to tackle and jump onto the mindfulness train with both hands. Her pieces on wellness and how to practice these on a daily basis are well-crafted and perfect for beginners. Tiny Buddha – Now a successful series of books, Tiny Buddha has grown into a flourishing website for learning about how to embrace quotes and live simply, without pressuring yourself to live like everyone else. WildMind – Buddhists were one of the first users of meditation as a way to control their anxiety and the noise around them. WildMind documents Buddhist meditation and provide you with useful articles to absorb. Embracing Simple – A popular read with those looking to minimise, this blog provides lots of motivation and inspiration when it comes to adopting a simple nutritional diet, routine and practice of self-care. Zen Habits – One of the most successful mindfulness blogs, Zen Habits has been a documentation of the adventures and learnings of Leo Babauta, a figurehead individual for tackling his true life mission. The Wonder Forest – A well-designed blog, where Dana Fox, mindfulness expert, and her team discuss how you can implement habits and routines to create more positivity in your life. The Wisdom Blog – Almost stoic in its teachings, the Wisdom Blog curates the best advice out there for those looking to live a wiser and more insightful life. Best Kept Self – Self-improvement advice for those who are planning to take control of all controllable aspects of their life. Articles are shorter, but provide an injection of useful insights to apply to your own life. Boho Berry – A collection of pieces on how to create a journal, Boho Berry brings useful insights into the benefits of using a BuJo (bullet journal) to effectively reduce stress, organise your life and tackle your disorders. Smart-Twenties – Blog and podcasts, Smart Twenties documents how to live effectively in your twenties to help reduce feelings of regret, poor fitness and lack of energy later in life. About Meditation – Beginning the act of meditation can be tricky. Having a starting point can be helpful, About Meditations blog overviews how you can get started with simple habits and how it can benefit general mental health. MindBodyGreen – Documents how to take control of your nutrition to tackle any mental health disorders. The aspects of the food you eat and activity your body receives can dramatically improve your success controlling your mental health. GenTwenty – Similar to Smart-Twenties, GenTwenty provides advice to those in their twenties, as a resource for taking control of your life in your twenties and how to adjust to everyday life in the outside world, lots of great advice and tips. Evergirl – Mental health blog, Evergirl is popular with females around the world. Covering topics like sleep anxiety, how to approach relationships and habits across your day, this actionable advice is a great starting point. Life Goals Mag – Perfect for those looking for a dose of motivation, Life Goals Mag brings together useful advice for when you are setting your life goals and targets, ideal for your journey to your next big goal, after controlling your disorder. Cait Flanders – A popular face in the mindfulness community, Cait Flanders delivers a fresh, exciting blog documenting all of the ways she actively uses mindfulness in her routine, and how you can too. Mrs Mindfulness – Melli O’Brien brings a very friendly and approachable blog all about how to embrace mindfulness into the daily routine, fun interviews, blog articles and useful content to read wherever you are. The Mindfulness Project – A different angle with the Mindfulness Project helps to keep us open-minded to who mental health effects. Discussing the effects of mental health on young people and how they can control through treatment. Personal Excellence – A blog and YouTube channel covering how to stay positive, tackle your goals and take pride in yourself as a force to get things done. Celes, creator the Personal Excellence, delivers regular videos and blog articles here. WellDoing – Another popular site for finding a therapist brings a host of blog articles to jump into on your search for a local therapist. A range of topics from how to communicate with your children to embracing meditation. DoYouYoga – A practical resource for those wanting an excuse to boost their yoga. With advice, statistics and research, yoga proves effective as a way to treat anxiety and other disorders. This blog also reduces the stigma around men and yoga. A Lust for Life – Explores the nature of life and how as humans we forget the power of the world around us. Unpacking personal stories about tackling anxiety and other disorders, helping to remove the stigma around mental health. If assigning mindfulness as homework for a client, make sure to explore our guide on how to implement homework effectively and increase your chances of success. Great question. One that many ask when they see these long-winded blog lists. There are several sites that will provide you with a way to collect ongoing and existing articles all into one. One of the best ones is Feedly. Feedly provides you with a way to capture news as it lands. Just start by adding the blogs to one of your lists/boards on Feedly to get started, all you’ll need to do is copy the URL to the boards to help bring all of these together in the same spot. You can use other RSS services to bring all of these pieces together. As you can imagine there are plenty more services that can help bring all of these blog articles together. We hope these selections gave you a list of blogs to get started. Let us know in the comments whether you’ve been able to find success with other blogs, we’d love to hear! Thanks for the great list! I am trying to work on mindfulness now and just went through all of your recommendations on this topic, particularly enjoying Zen Habits and A Blissful Mind. You asked in the question at the end other useful blogs, and while searching for online therapy options I came across the blog at http://www.BetterHelpReviews.com While there isn’t a lot of content there yet, it convinced me to give Betterhelp a try and it’s helped me immensely so far in my relationships and confidence. Very much informative content you have shared, I would like to know that you have mentioned most of the all therapy in this post. I learn many of the therapy from here. I have also found one therapist who is handling my mindfulness therapy and i am attending him day by day. I wasn’t familiar with too many blogs you have listed so i am happy to discover your list. Thanks for posting . Very helpful enumeration. The best list of most credible blogs in this field is quite difficult to determine through simple internet research. It’s nice that you have gathered these vital references in one place. Thank you very much. Nice Post, thanks for sharing with us, keep posting and do post about therapy. You have shared a very informative and helpful blog. It contains superlative information regarding counselling therapy. great work. All of the post in one place. you can add my post here because this is related to your Article. Beautiful list of therapy blogs. I’ve followed. Blogs are one of the best resources out there for learning new things— they can help you with all sorts. Thanks for sharing this blog with us. We fully agree! Thanks for your comment Sophia. Therapy plays a very important role in our daily life, either we are an employee or a student. It makes us feel relaxed also, we get relief from anxiety and stress. The main purpose of therapy is to help you feel better.